When your business is IT security and preventing cyberattacks, you need to show the world that you’re not playing around. 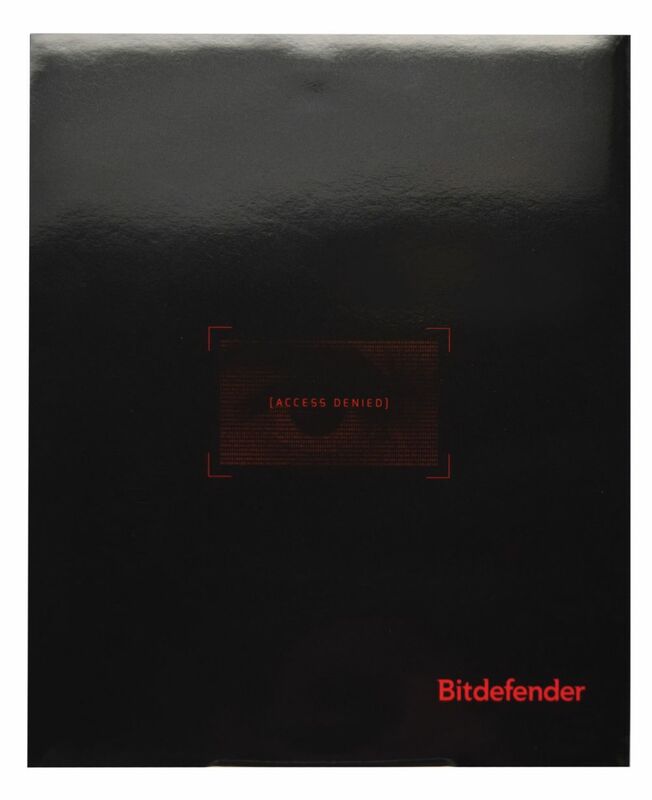 Bitdefender was about to launch a complex and expensive new product and needed a strong marketing piece to communicate with its sophisticated market segment. The brochure needed to communicate sophistication and reliability. Working closely with the client and its ad agency, Americhip created a large brochure with multiple spreads on glossy black stock that conveys both high-tech and high quality. 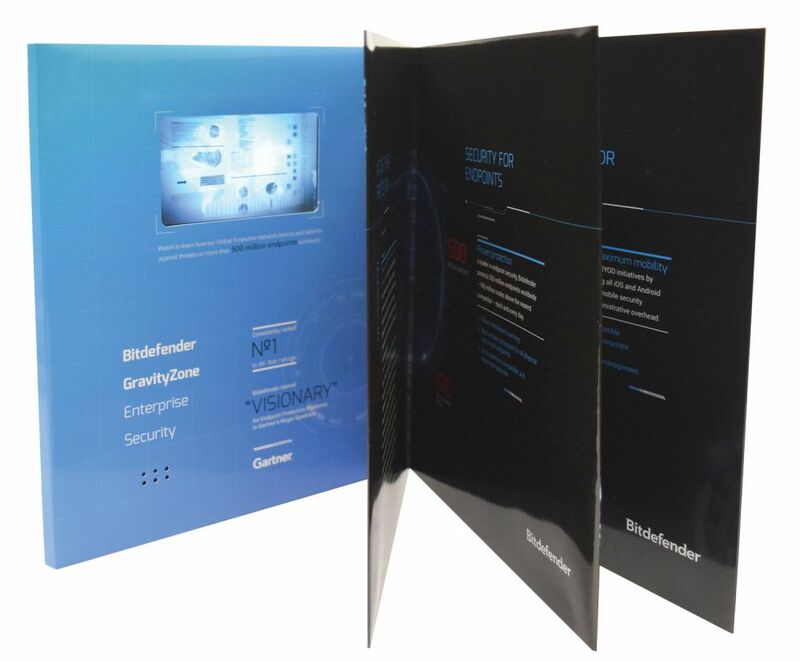 When the video brochure is opened, our patented 4.3” VIP Screen is visible on the inside left and draws consumers to engage with the chapter buttons highlighting the key video storytelling elements of the brochure. The video content and multiple spreads give Bitdefender the perfect opportunity to explain its strategies for breach detection and prevention. In the extremely fast moving and competitive world of technology, sending an Americhip Video in Print™ brochure communicates a best in class philosophy and position.